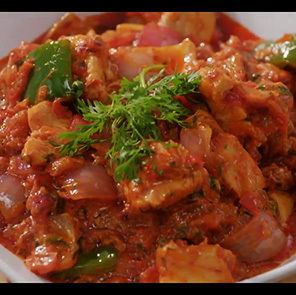 Love to chill with a bowl of Chicken Chilli? 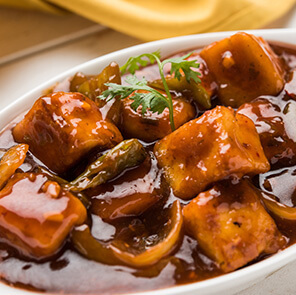 Then here's a recipe that's going to fire up your taste buds! 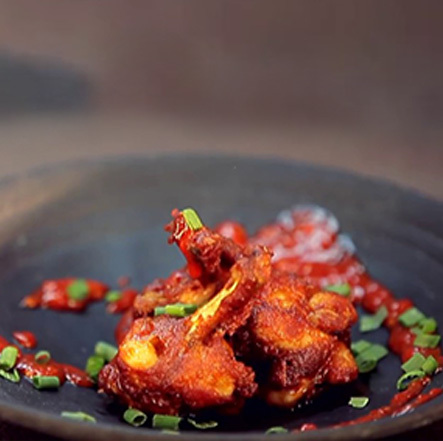 Check out how you can make fiery Chicken Chilli in minutes with this recipe. 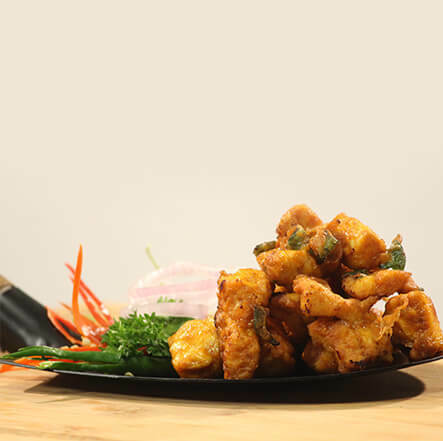 Step 1: Mix the boneless chicken cubes with maida, salt to taste and an egg in a bowl. Step 2: Heat oil in a pan and deep fry the marinated chicken on a low flame till it turns golden brown. Keep the chicken pakora aside. 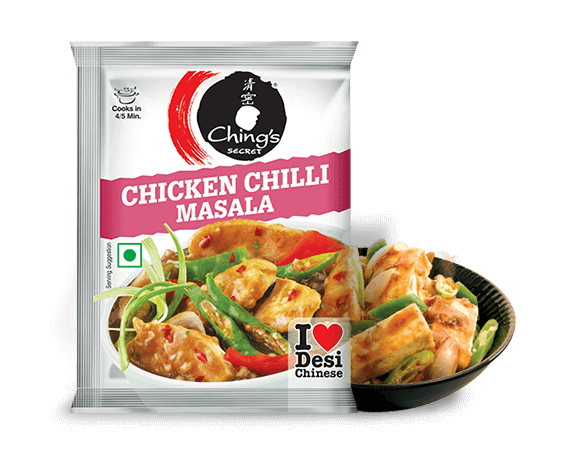 Step 3: Mix a packet of Ching's Chicken Chilli Masala in water till a smooth mixture is attained. Step 4: Heat 2 tbsp oil in a pan. Saute the diced vegetables and a slit green chilli in the oil for 2-3 minutes. Step 5: Now add the chicken pakora and saute well. Step 6: Add the masala mixture and stir well on simmer for 2-3 minutes. For thicker gravy simmer for 3-4 minutes. Step 7: Garnish with chopped spring onions and serve hot!